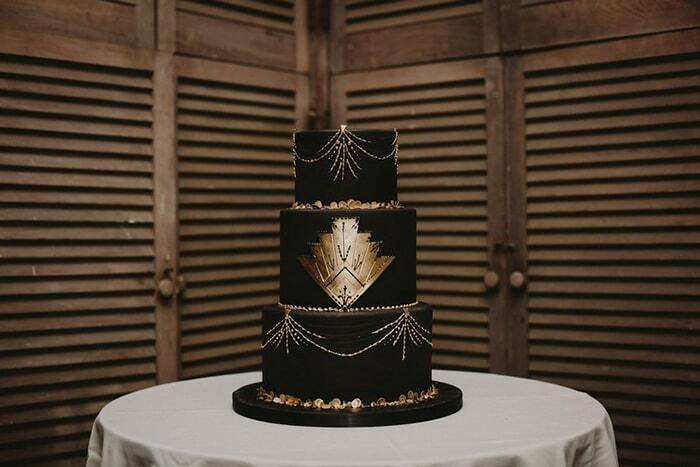 The wedding cake is always a very important part of every wedding around the world. 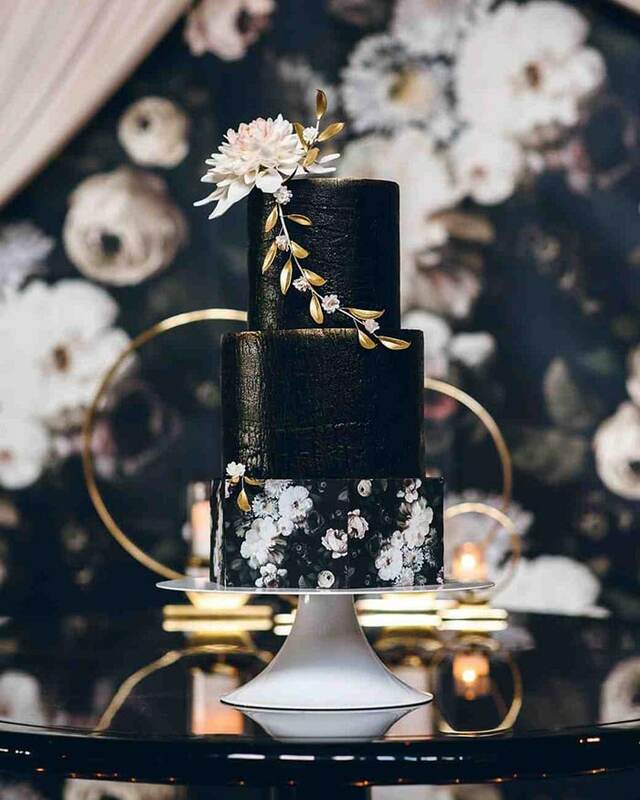 We at bridals.pk make it a point to bring you all the latest trends regarding weddings, but cakes are a particular favorite of ours. 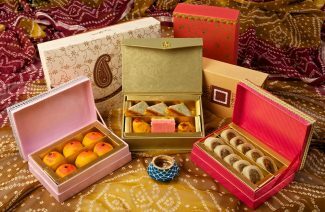 (Blame it on the case of being a really intense sweet tooth!). 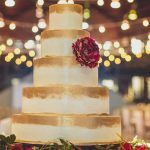 The wedding cakes really matter because they are not just the edible feast, but a part of your wedding décor. 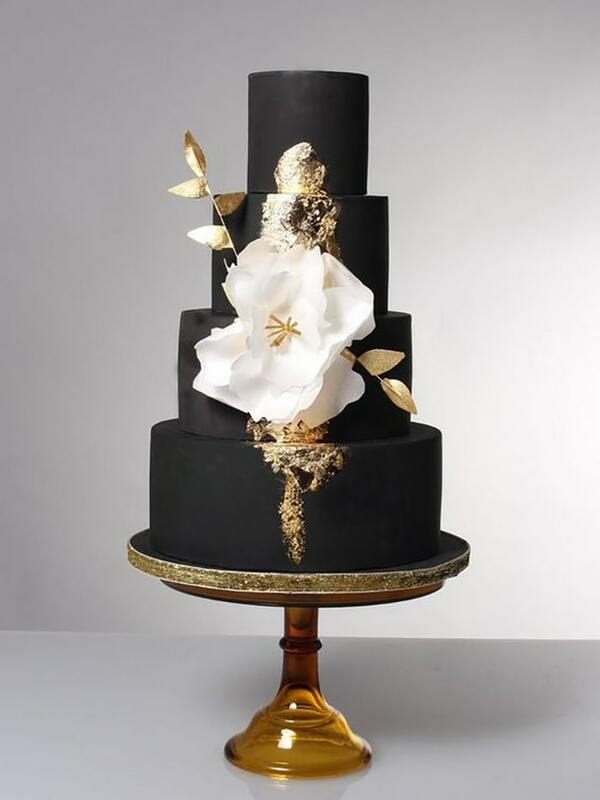 This delicious treat will always take a center stage with its grandeur presence and enhancing the overall wedding theme. 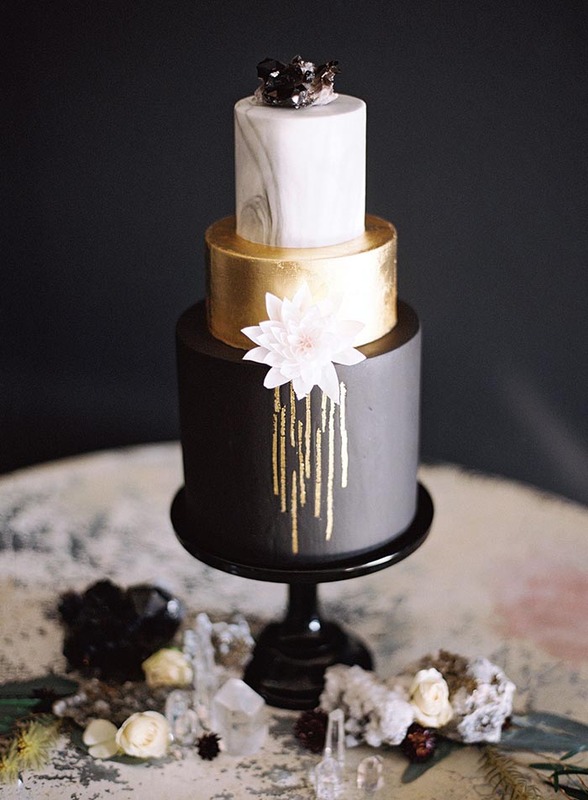 Many brides are now going for unconventional wedding cake ideas. 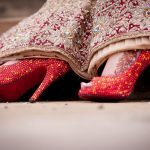 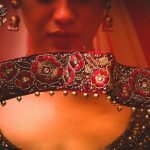 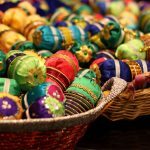 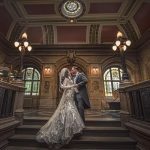 This article is dedicated to all the edgy and bold brides, who wish to break the norm in a pronounced way. 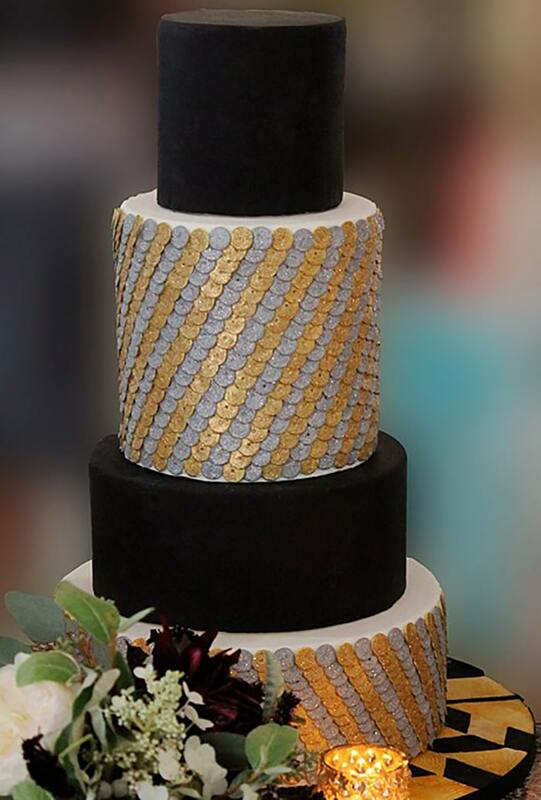 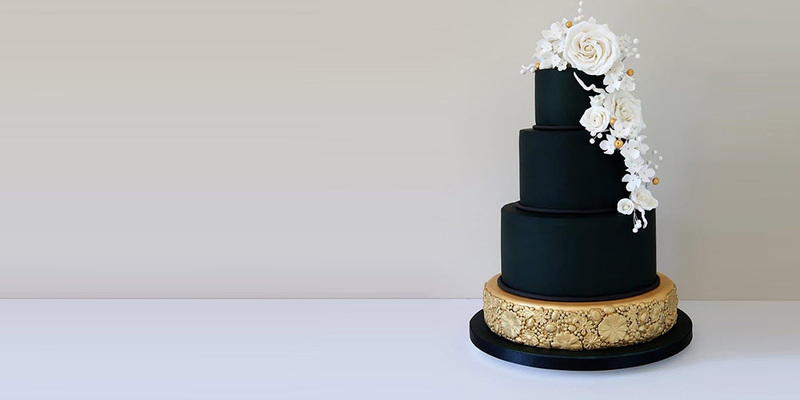 Have you ever thought about having a black wedding cake for your special day? 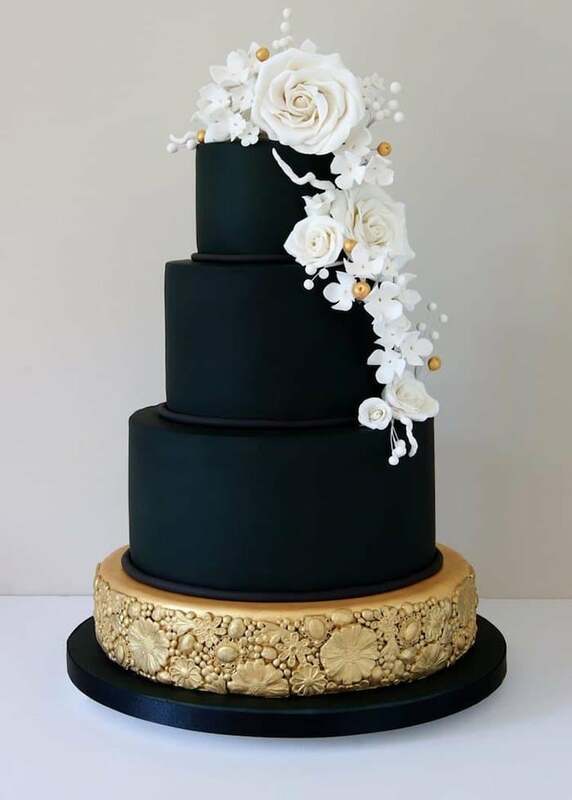 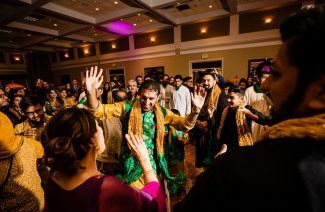 Of course not, as black color is not often associated with a wedding. 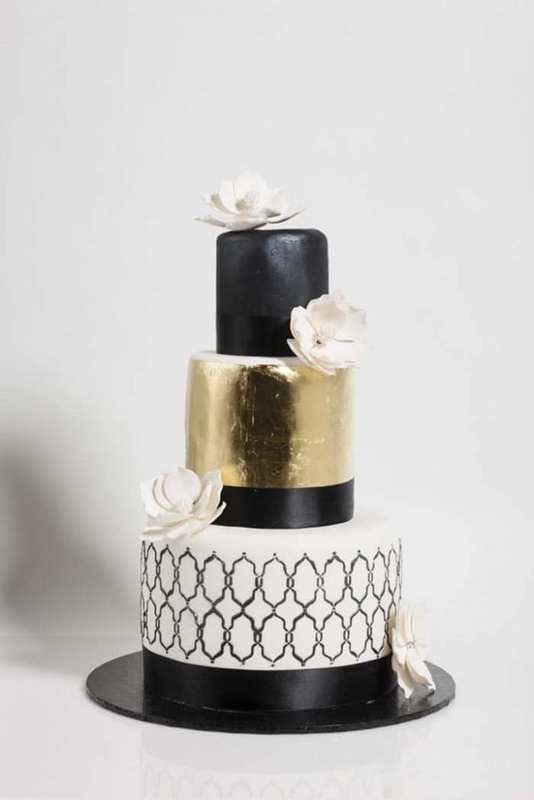 Many of our elder family members tend to pale when someone suggests anything black for a wedding. 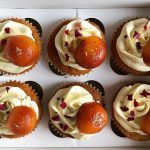 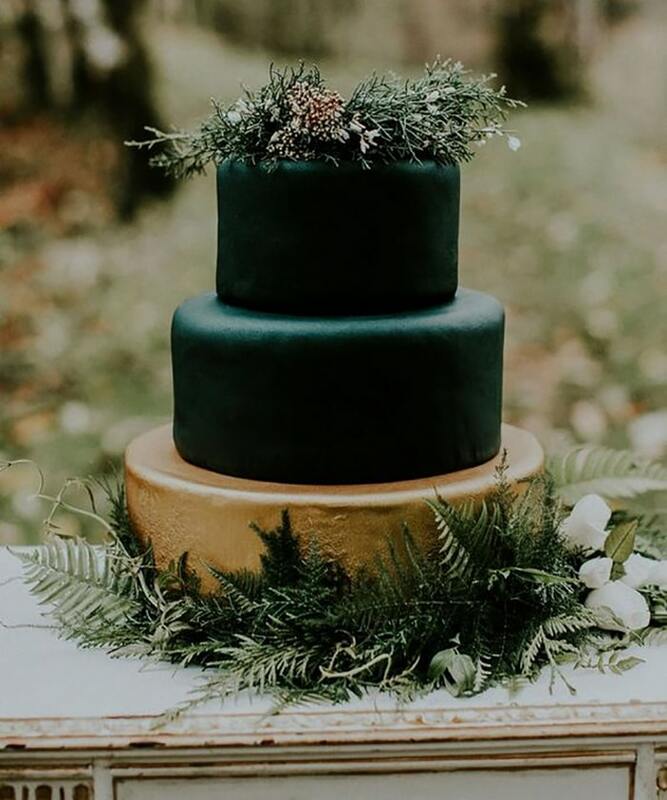 However, the cakes are beautiful forever and we think you would not be able to resist the dark cakes we have brought you this time. 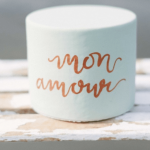 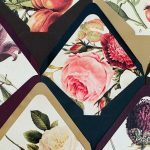 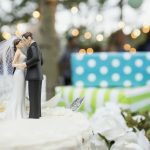 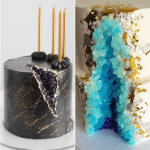 These are some real artistic masterpiece wedding cake inspirations that will make you go crazy when it comes to picking one for your big day. 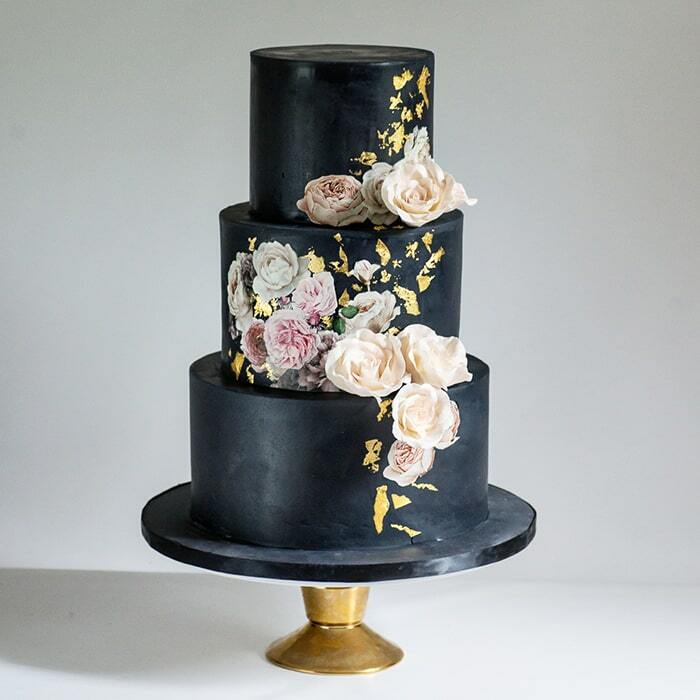 These beautiful cakes are utter artistic craftsmanship with their unique designs and details. 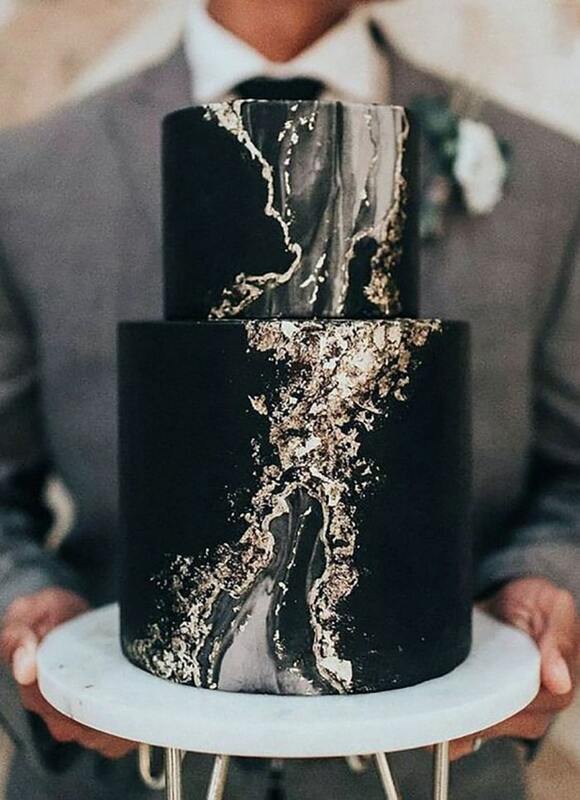 Take a look at these amazing wild black cakes. 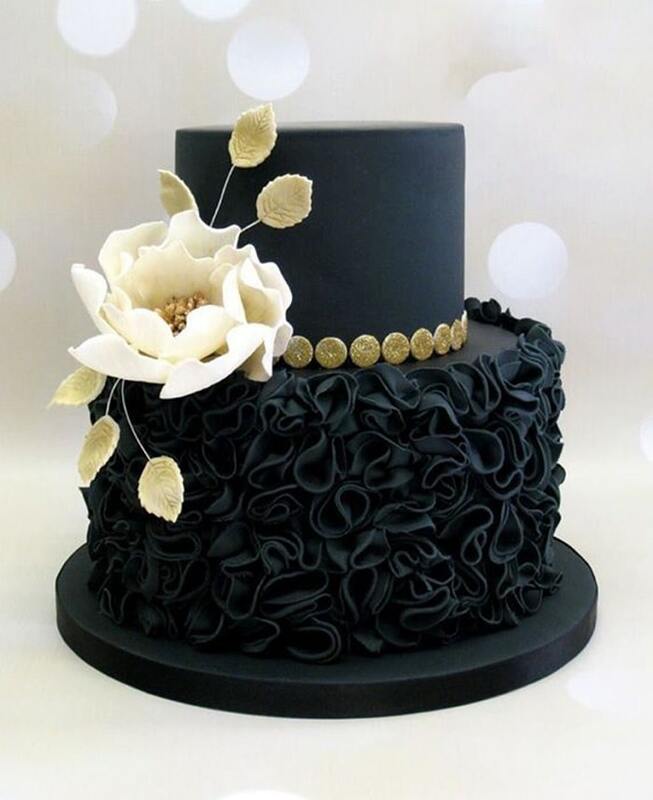 Nothing is more trendy, gothic and absolutely stunning than the color black. 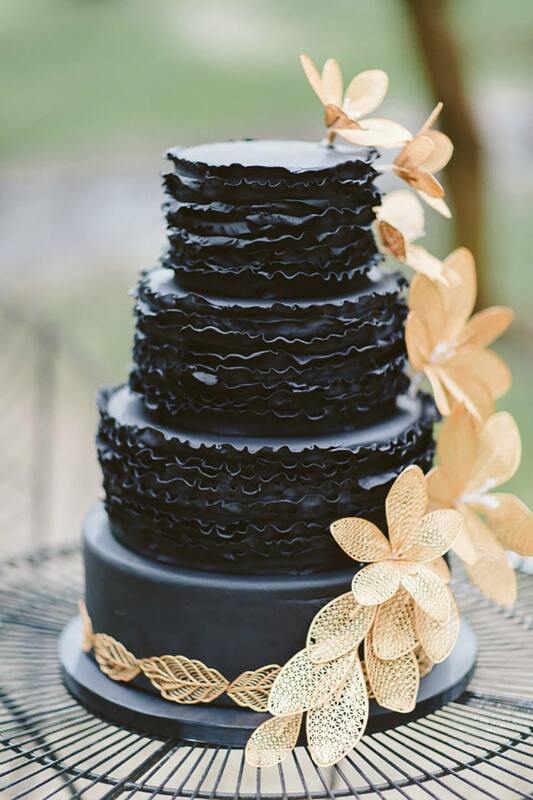 For weddings and receptions held at night, black wedding cake is definitely inspiring. 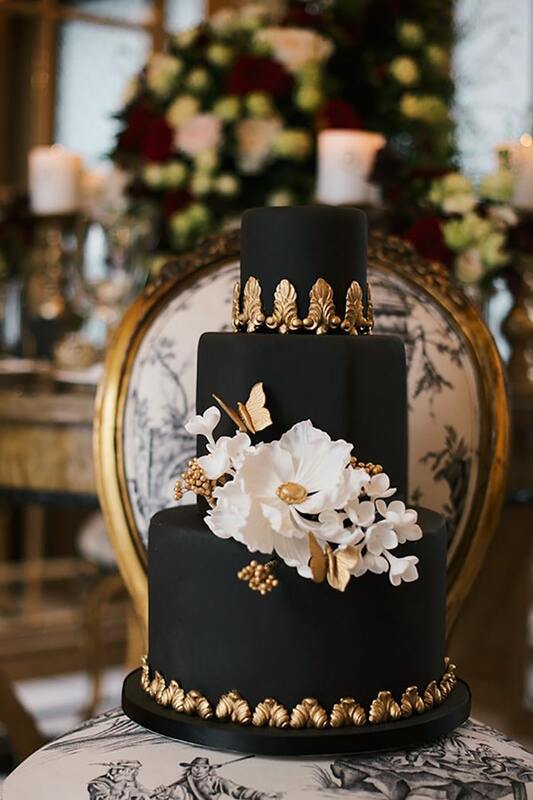 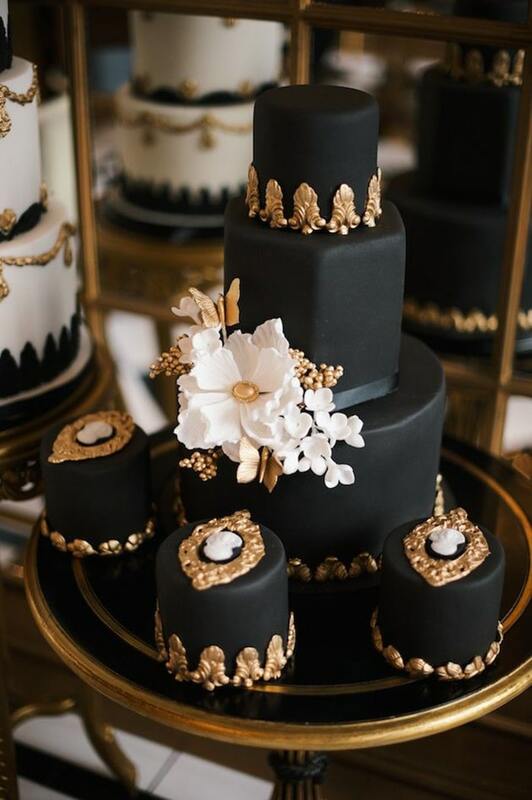 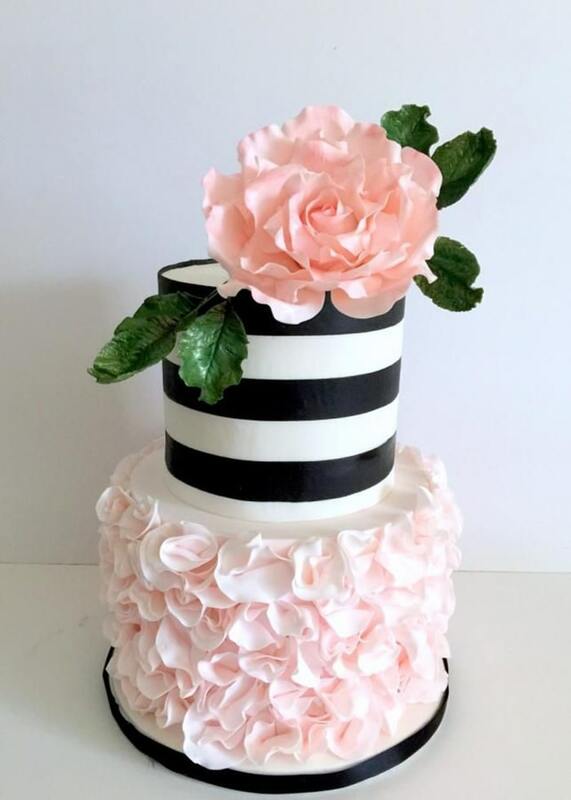 Let’s take your celebration to the next level by having black wedding cakes, by the end of the article you will definitely be tempted to do just that. 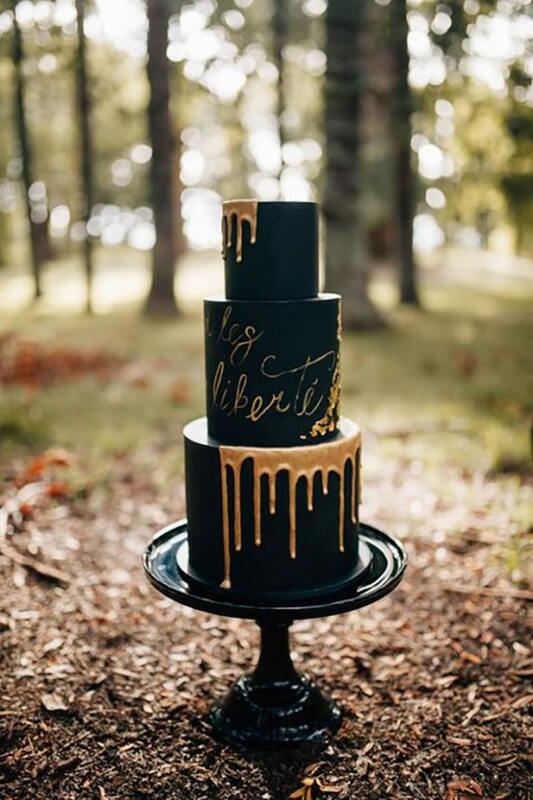 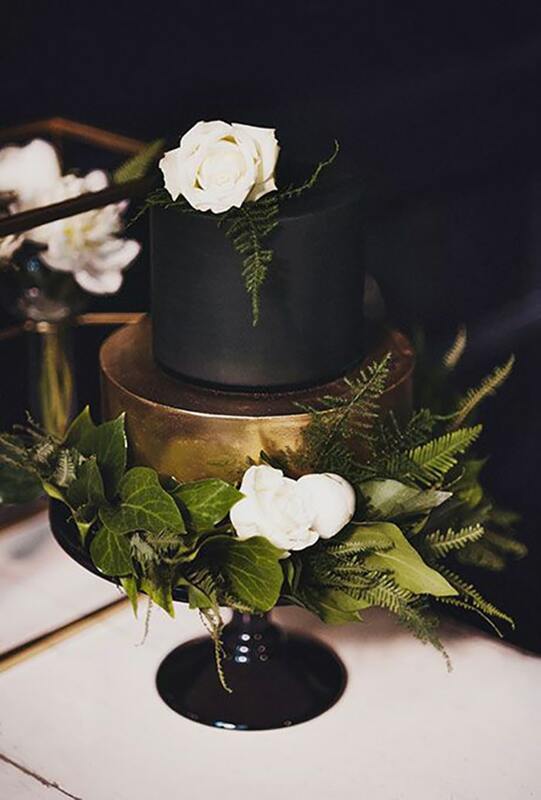 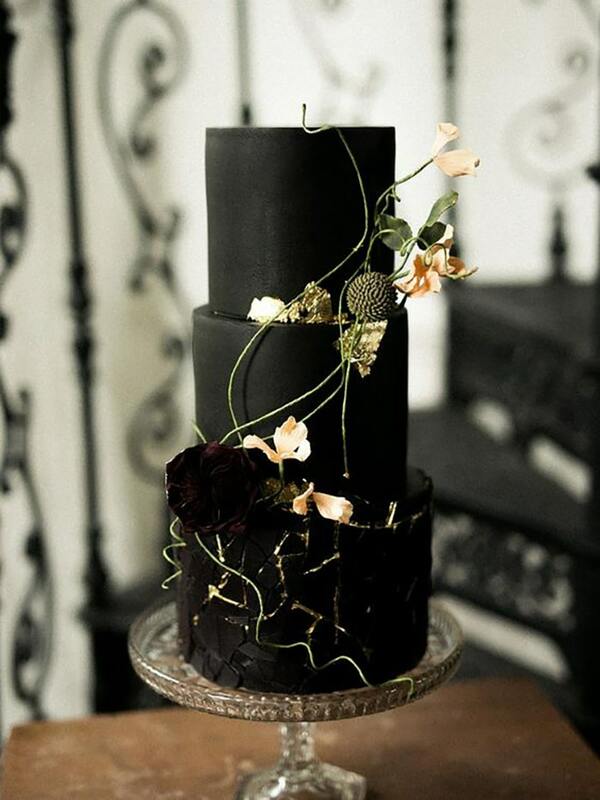 Gorgeous black wedding cakes for the unconventional brides. 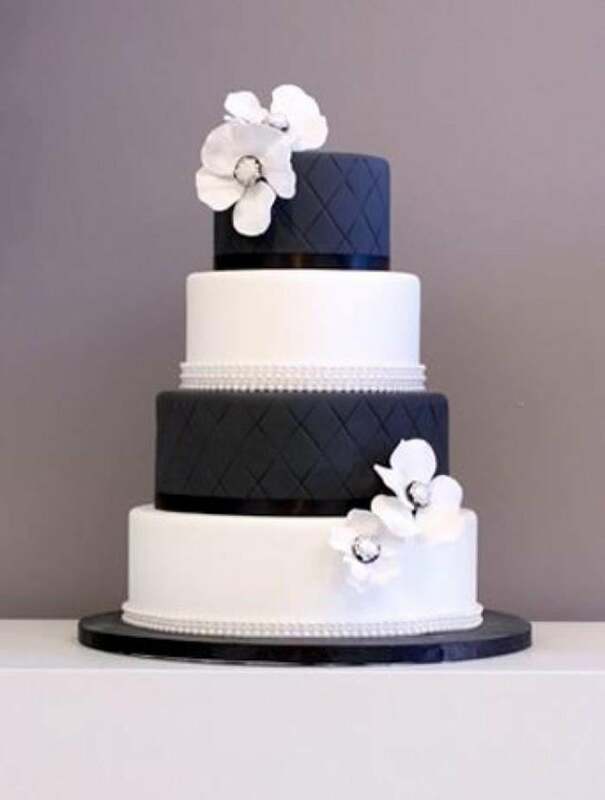 The wedding cake is always a very important part of every wedding around the world.